What is Honda Sensing? The Honda Sensing package is a fully-loaded safety suite that can be configured or turned off by the driver. Now available on most Honda models like the Honda Civic and Honda CR-V, the Honda Sensing suite has been described by CNET as being “now been fitted to 1 million vehicles.” Drive with confidence around the Yonkers roads with Honda Sensing, and learn more at Honda of New Rochelle! What Comes with Honda Sensing? Road Departure Mitigation System (RDM)— RDM uses a small camera to scan for road markings, and then uses that information to keep your Honda SUV or sedan from straying off the road. Collision Mitigation Braking System (CMBS)—The CMBS will automatically bring your vehicle to a complete stop if it senses a collision. Adaptive Cruise Control (ACC)—ACC constantly monitors your vehicle and the vehicle in front to keep a safe distance. Traffic Sign Recognition (TSR)—Can detect speed limit signs and alert drivers when they exceed said limits. Lane Keeping Assist System (LKAS)—Adjusts steering to keep your vehicle inside the lanes. Do I Have to Keep Honda Sensing on? Honda Sensing provides your Honda vehicle with a variety of safety features, but what if you don’t want to use it? All Honda Sensing features can be easily deactivated with the push of a button. Additionally, Bronx drivers can easily configure settings through the optional touch screen. Hit “Settings,” “Vehicle Settings,” and then “Drive Assist Setup.” This allows you to change RDM warnings, distance warnings for CMBS, and more. Have any questions? 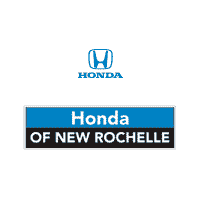 Be sure to stop by Honda of New Rochelle to schedule a service appointment! Try Out Honda Sensing at Honda of New Rochelle in New Rochelle! Have more questions about the Honda Sensing package? Contact us at Honda of New Rochelle near White Plains for answers. If you’d like to experience a new Honda with Honda Sensing in person, or if you want to check out other Honda technology like HondaLink, ask about scheduling a test drive!